There is something magical about a cascade waterfall spilling over a cliff. 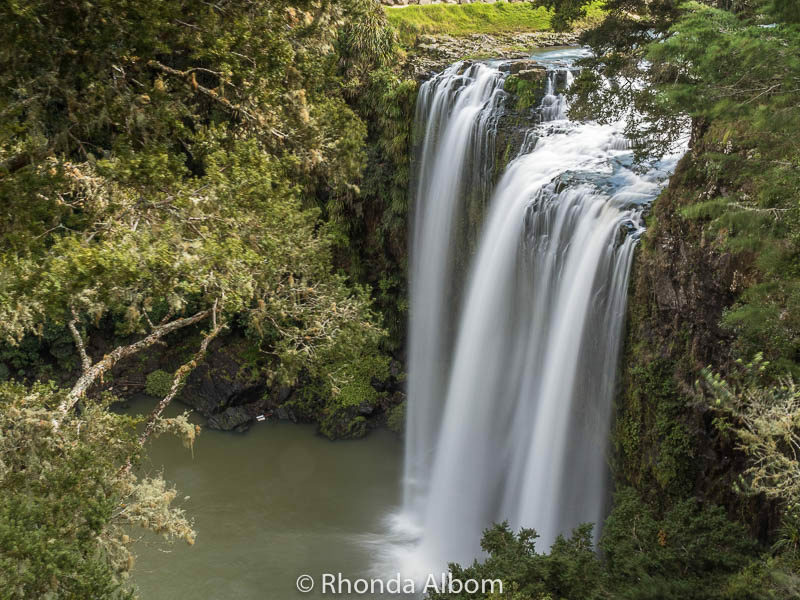 Whether it’s a huge waterfall or a gentle trickle, capturing the waterfall photography effect that you want is easy once you know a few simple tricks on how to photograph waterfalls. The secrets lie in having the right equipment and understanding the camera settings for waterfalls based on the effect you want to achieve. Regardless of your camera, you probably have more control than you realise. Shutter speed if handheld: 1/30 or the slowest speed you can handle. Ideally, use a tripod and an ND filter and start out with a 2-3 second shot. Bracket and experiment with the light. Shutter speed if tripod and ND filter: 2-3 seconds. Bracket and experiment with the light. Either use a shutter release cable or set the camera to self-timer. If you want the effect of smooth water, you need to use a slower shutter speed. I have carried a tripod to capture one motion waterfall picture. The average person cannot hold a camera steady for longer than 1/30 second and will use a tripod starting at 1/20 seconds. 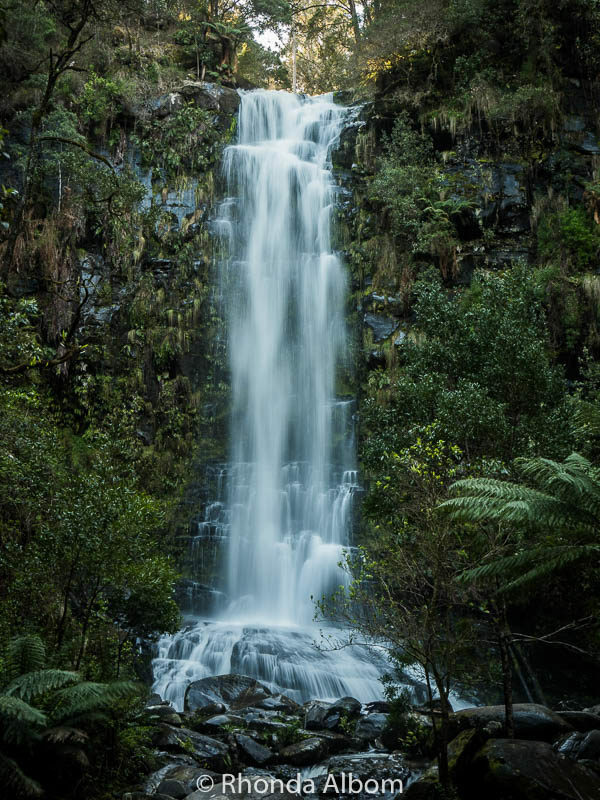 If you have a DSLR or mirrorless camera and are comfortable shooting in manual, use the camera settings for waterfalls listed above. If you typically keep your camera in automatic mode, you might want to set the camera to “S” for shutter priority. This will allow you to set the shutter speed while the camera makes the rest of the adjustments. If you are taking a handheld shot, try it first at 1/20 second. To help yourself stay steady, hold the camera with both hands, elbows down at your side, and gently hold your breath before you take the shot. If your image is in focus, try again at 1/15 seconds. Or, if your original shot is blurry, try again at 1/30 second. If you have a tripod, set your camera on shutter priority, and set the shutter no faster than 1/20 second. I usually start at 1/5 seconds or slower if I have an ND filter. If it is too bright, try a shorter time. If you have a point and shoot camera this effect is a bit more difficult, as they are not designed for tripod shots. Your best option is the setting for the lowest light, either candlelight or night shooting. However, if this triggers your flash, you could try covering it up. Similar to above, set your DSLR or mirrorless camera to “S” for shutter priority. Set your shutter speed for 1/100 to get started. If you have a point and shoot camera you can trick your camera into a faster shutter speed by putting it in sports mode. 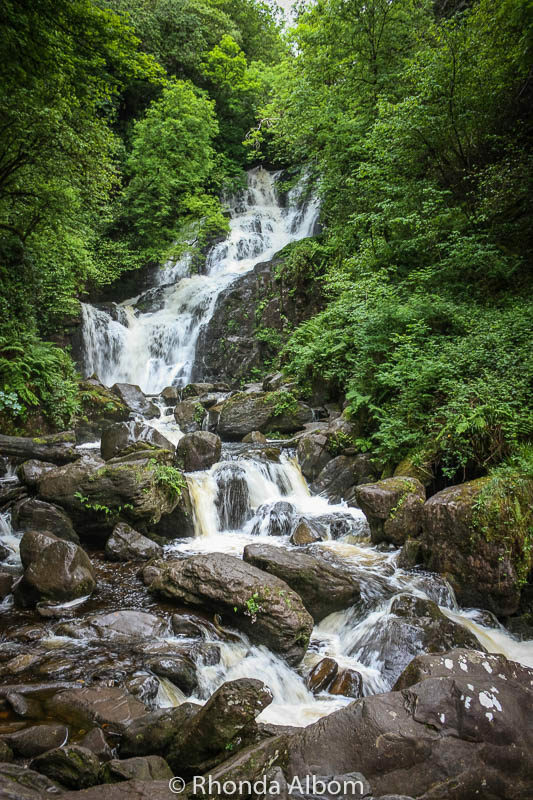 Take a look at a few of amazing waterfalls. See if you can spot which were handheld and which are long exposure waterfall shots, then check out the specs below each image. Want more travel photo tips? Check out my latest ebook for easy travel photo tips. You can download a free copy. You will also receive our newsletter offering more tips and blog highlights. 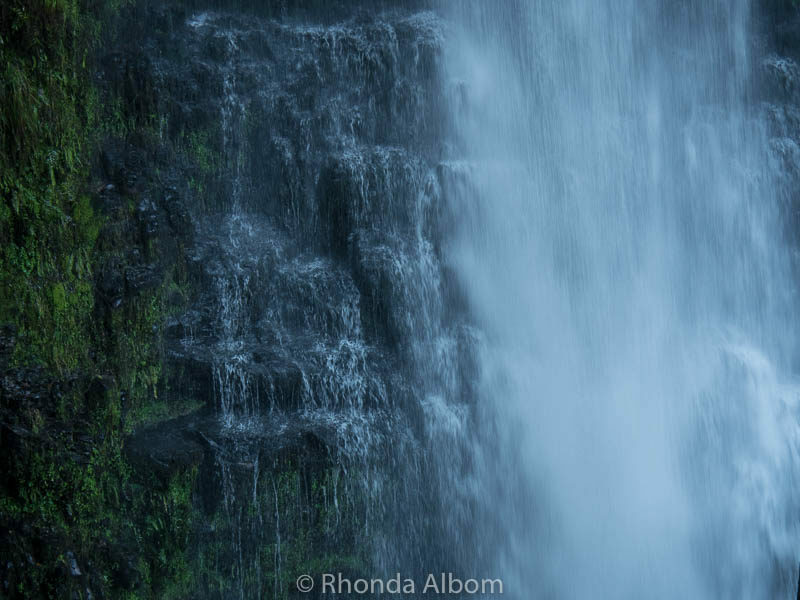 Will your next waterfall images use a long exposure? Please ask any questions on how to photograph waterfalls? Thanks for your nice post. 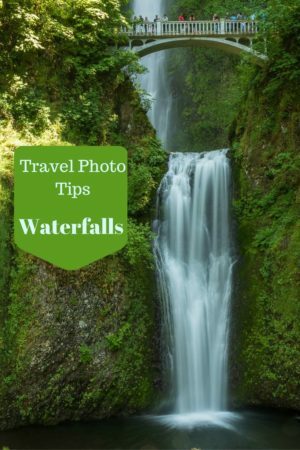 They are great information and tips share for waterfalls. Really this article is very helpful for us Please keep it your writing. it can be very fantastic to live near the waterfall. You can awake by its sound.Living in nature is perfect. Thanks for sharing such nice article. Also your shots are awesome. Beautiful waterfall shots! Guess I need to go out and try some of your tips! 🙂 Thanks Rhonda! All the settings on the point and shoot are preset to do what the DSLR or mirrorless cameras do. I hope you can get something from the tips. That’s my favourite way to shoot the waterfall. What happened to my comment about the waterfalls. I know I put one in and it was a good one. Oh well, have a great day Rhonda. Great tips! Waterfalls are always such a treat to photograph. I love getting the smoother, almost mystical feel of the waterfall shots with the slower shutter speed! I never travel with a tripod though, so sometimes making sure I keep my hands still is a bit of a challenge! Try holding the camera with two hands, keeping your elbows pointing down, arms close to your sides and hold your breath. I’m with you Rhonda. I love waterfalls, large ones, small ones fast ones and slow ones. I wished I lived near a waterfall so that I could see and hear the sound of the waterfall with the water falling down. I live in Essex County and the area has flat, very flat ground. The only thing Amherstburg has history, this area was involved with the war of 1812 and we have the Detroit River. Michigan is right across from where I live. I guess that’s OK.
We live near a waterfall, but it’s not exciting enough to make this page. Everyone lives near something interesting. I live in a country that has no European history as old as 1812. That waterfall is now hanging on my wall, it’s my favourite as well. As for light, have you tried bracketing your photos? That would be shooting the shot, then with a lower and higher exposure. Love photographing waterfalls, we actually plan trips so we can stop to see and photograph them. You have been to quite a lot of them. 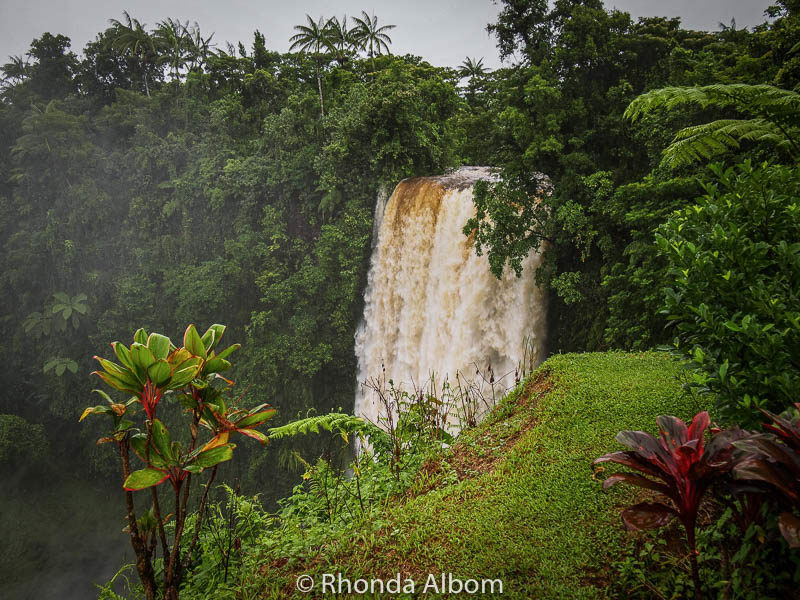 Like you, I love photographing waterfalls and we seek them out too. Thanks David. I often use a flat surface as I don’t always want to carry the tripod with me. Try out my tips, with a bit of practice you can take photos like this too. 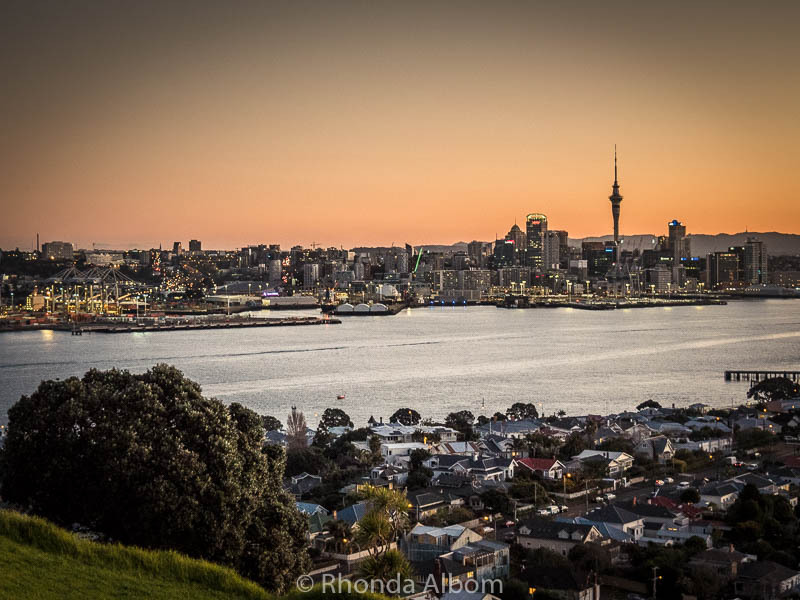 I hope you get here, New Zealand is beautiful. There are lovely waterfalls all around the world. I need to get a tripod. I have been playing with the shutter speed but cannot hold the camera still. So, I end up with a blurred background (or have to take many photos to see if I get one in focus). Love all your waterfall photos. I need to go and chase more waterfalls. Try holding your breath before you take the shot, but if you are going slower than about 1/13 very few people can hold a camera steady. This is a huge help as I am just now finally learning how to use the manual settings on my point and shoot. Thanks! Thanks Tami. Once you get into it, you will find you use manual often. At this point, I only shoot in manual. These are really useful tips – mostly for these kind of tips, i used to follow youtube; but here i think you have quite smartly given the illustrations and demonstrations. I have never gotten into youtube. Perhaps one day. and Thanks. Thanks Jim. Hope you find something useful here. Beautiful photos! I love waterfalls too. Great camera tips, I have pinned your future reference. Thanks Lucy and have fun shooting waterfalls. You could start with slower speeds and faster speeds in hand held. You will see a difference, but you won’t see the flowing waterfall. Oh my god, your photos are FAB! I love waterfalls also – I find them so calming. Great tips! 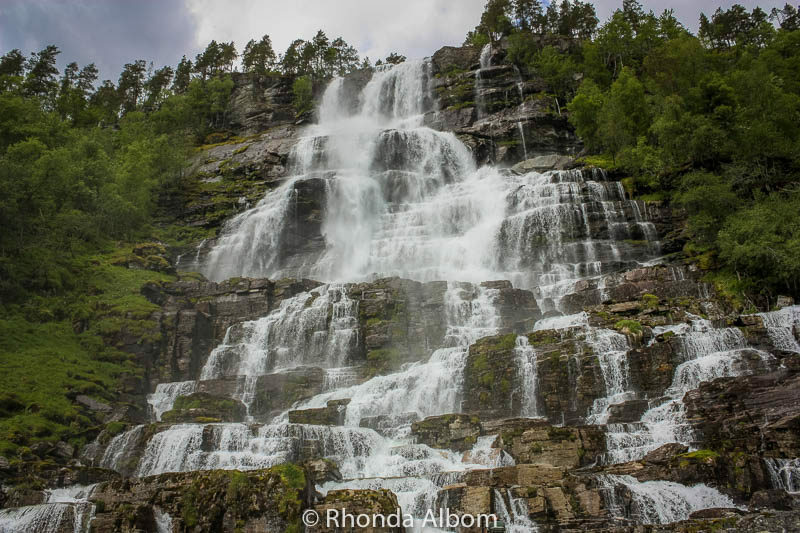 This is exactly what I was looking for last week as I would be seeing some waterfalls soon and I regret a bit that I did not get amazing shots like this in Norway. Sorry I am a week late. I’m impressed with how many waterfalls you have visited. This is a really helpful guide to anyone looking to photograph them. I love the soft water effect, looks like time is standing still. I love waterfalls, and I seek them out when I travel. I also like the softer water. I need to take my tripod out alot more when we go on major road trips, think I’ll be able to experiment with my camera more then. 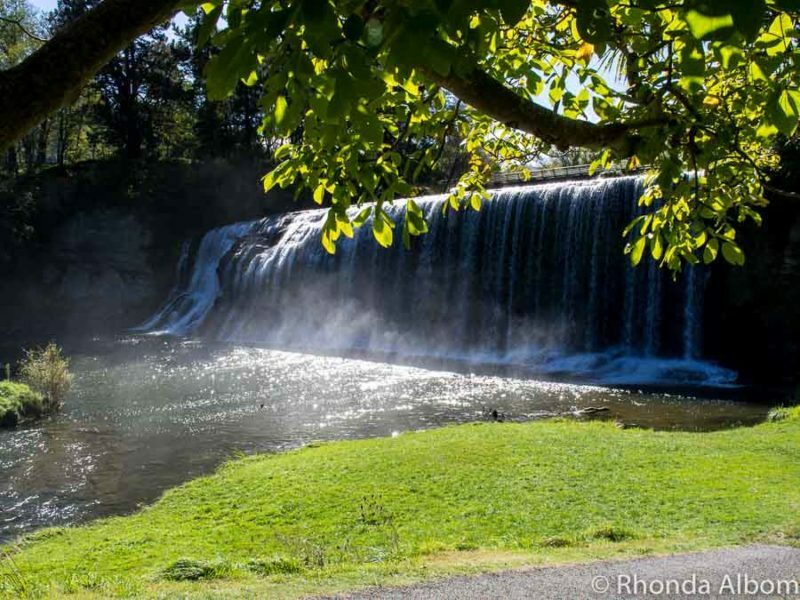 Especially in New Zealand, there are waterfalls everywhere. 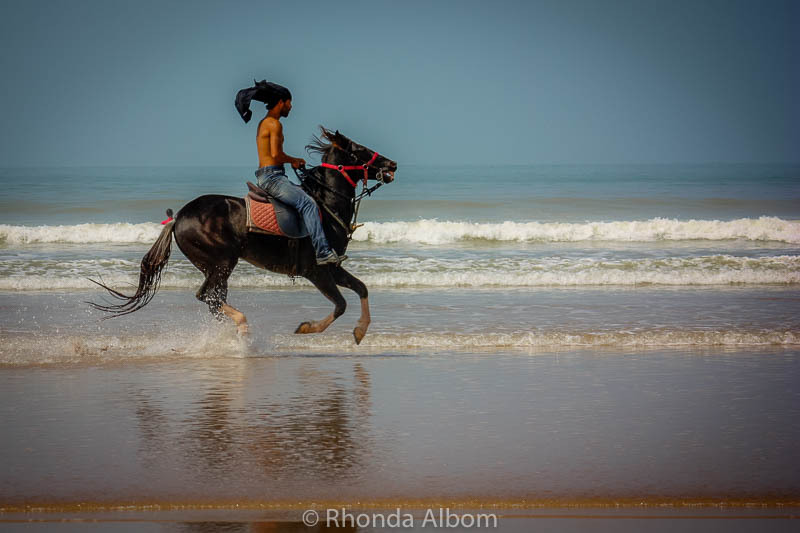 Thanks for these great tips, Rhonda! I love the surreal and magical effect of smooth water that you get using long exposure, but I like to travel light (hence no tripod), so I guess I’ll just admire others’ smooth waterfall photos like yours! Thanks Michelle. I travel light too, but my camera and tripod about probably about 20% of my weight. Thank you for the waterfall tips. I’m headed to Iceland in the fall, so this will come in handy. Going to sign up for your ebook now! Yes, Iceland will be the perfect place to get some stunning waterfall images. As you can see, most of my photos are also with out a tripod, as I just don’t carry it too often. Thanks for these tips. Just last week I was trying to figure out how to capture a photo of a waterfall with a specific look. I wish I would have these tips in hand. I love a good waterfall and it’s obvious that you do, as well. Thanks Sara, sorry I was a week late for you. Hopefully, another opportunity will come around soon. I love taking photos of waterfalls and they are awesome wonders to look at. It was a bit hard at first to get that first best capture but after practise, I am getting there. Great tips here. I would love to see some of your shots. That’s the beauty of any art like photography, what is best is all up to the artist and the view. Did you fall? and if so, I hope you didn’t get hurt. Great tips! As a photographer, these all seem like common sense to me. But I’m sure they are not…in fact, I know they are not. A beginner photographer will find this article very helpful! Not common sense, but basic understanding. Thanks, and I hope people do find it useful. Ah, waterfalls are easy because they are right there in front of you. You don’t need patience like you do when waiting on an animal shot. Thanks for sharing Stefan, and for the compliment too. Your photographs of waterfalls are really pretty. Great post to help those with less experience understand the choices for their camera settings, and how these translate to frozen motion or motion blur within the water. My personal preference is the slow shutter speed style but both have their place! My preference is also the slow shutter speed, but I don’t always have a tripod. 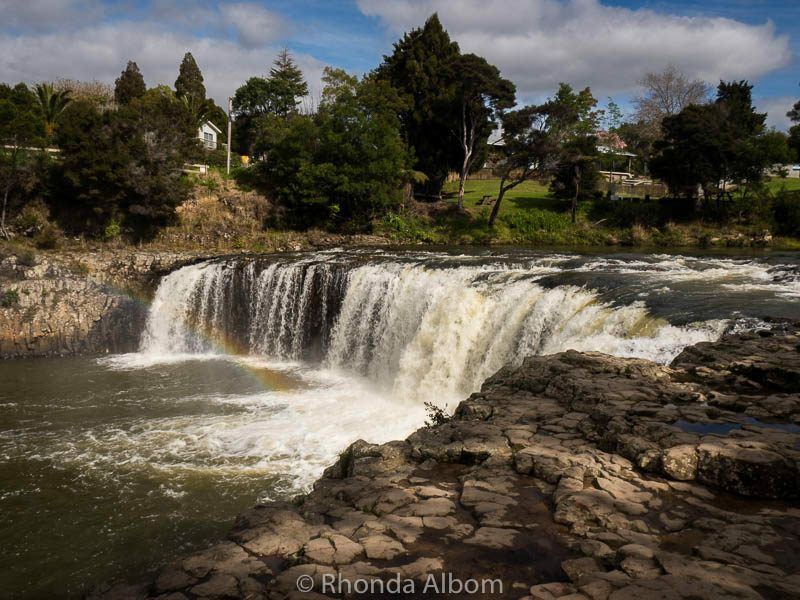 We want to improve our waterfall taking skills…. but that would require actually seeing a waterfall for once haha It’s been a while! I guess we do too many city/town trips! 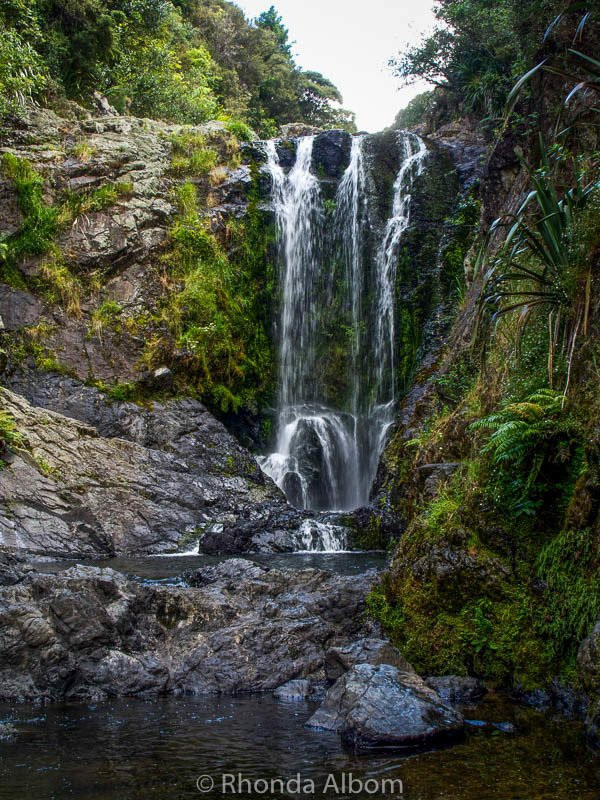 LOL – you never know when you will turn a corner and there will be a beautiful waterfall cascading over the hill. This is a really helpful post! I’m not a great photographer, and I’m certainly a newbie with things like moving water and night photography. Your photos are absolutely stunning! Thanks Laura. I hope my tips make you a better photographer. These are fabulous tips. I love waterfalls and hopefully will now be able to capture them better. 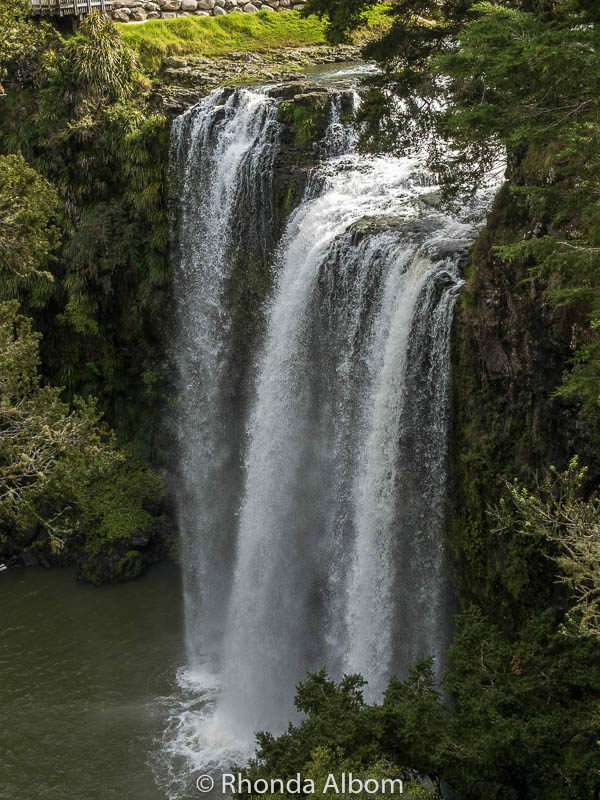 I have been to the top one – Harura Falls a few years ago. It’s probably the one we go to the most often on this page. There is a tiny waterfall in walking distance from our house, but even the best shot of it is not that flash. Your photography is amazing. Mine is not. I don’t have a crafty bone in my body and I’m okay with that. Thanks Sandee, I am happy to virtually take you around the world with us. These are great tips! 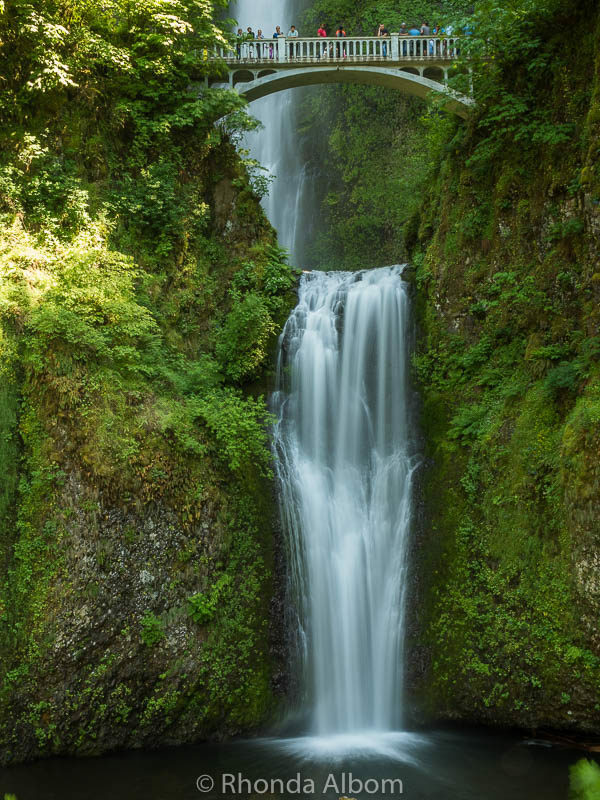 We love waterfalls and what a great collection of beautiful photos. My husband usually does the waterfalls shots but this post gives hope for me. Thank you! LOL – there is hope for every photographer. Better photography is a learned skill, although some people, like my daughter, seem to have a naturally good eye for the shot. I love waterfalls!! You have a great collection of them. I have visited many of them and I would love to visit Iguazu. 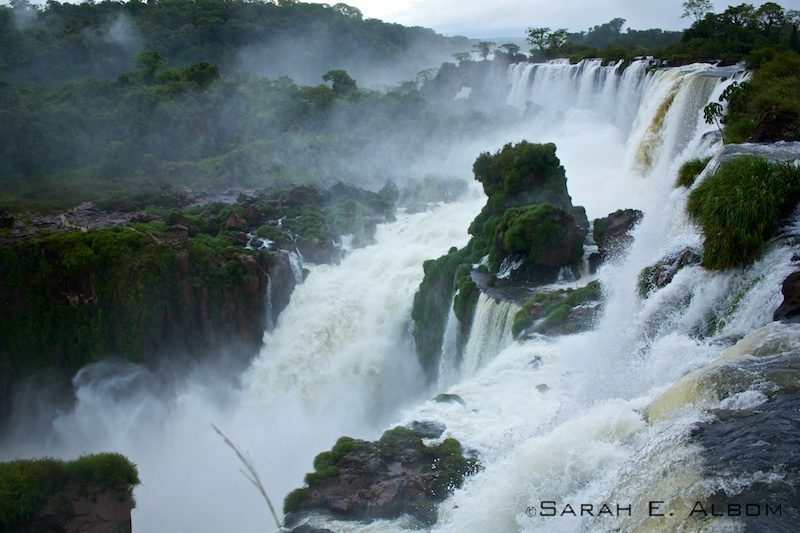 Iguazu is Sarah’s shot. I would love to visit there. If all goes well, we will be there late in the year. Thanks for the tip – I never knew to use sports mode on a point-and-shoot. I’ve used the burst mode at a concert to get the performer in action but I’m going to try sports for the waterfalls. Fantastic photos! I the settings on the point and shoot are given names for their most common uses, but they can all be used for different things once you understand what each does. Sports tries to freeze action, and that needs a fast shutter speed. Amazing the difference the shutter speed makes. Although that one shot, even with a fast shutter speed, has blurred water. Must’ve been flowing really fast. I think water is one of the best ways to demonstrate the difference shutter speed makes. Now I have to find a waterfall to try all this out on. I wish I had had this post before we went to Iguazu Falls. I am hoping to get to Iguazu in a few months. Sarah loved it. Thank You for these tips. Oh, I saw that You have been not visited Finland. Why not meet freely roaming reindeers in the nature on some of our Arctic Hills, maybe participating in the reindeer ride contest, which is open for everybody, making midsummer Cruise on some of our lake, visiting the Arctic Circle, visiting Samba Carnivals or spending a night inside the world’s biggest snow castle. There are so much to see and experience that You cannot imagine. It’s true, we have not yet been to Finland. My mother has and loved it. Perhaps one day. Great Tips! I have always wanted to take better waterfall photos. Thanks Rhonda. Fab photos Rhonda I love fast moving falls. Thanks Freya. I hope you get a chance to get out and give them a try. Bet these are all much more impressive in person than in photos. I think it is the sound of the rushing water that makes waterfalls increases how impressive waterfalls appear. Great tips and photos. What an adventure! Thanks Julie, we love chasing waterfalls.